Currently I am using Google Blogger as my Blogging platform. I chose Blogger rather than Wordpress because Blogger is Almost free for a Daily Blogger who concentrate only in writing and Will index Blog posts at a faster rate even though your Blog is new. By integrating with Google Webmaster tools it helps a lot in SEO. Wordpress costs more and require third party hosting place, Which costs further more. So Now you can see that this Blog is hosted in Google Blogger and uses custom designs from third party developers and Some Modifications done by myself as per my requirements. When you first see a Blogger Blog it will look like simple and may be bad for you. You doesn't want to switch to WordPress to get a better look for your Website. Blogger itself may be more than enough for you. Here is How you can Simply Modify your Classic Blogger Look to an Awesome Navigation and Gadgets for Sharing with simple Html knowledge. First you have to do is find a Custom domain Name for your Blogger. You can use our website name VideoAdept.com as a coupon code at BigRocks to get 30% discounts on domain names. You should be careful by taking a Website name. Because now a days almost all names will be taken by someone else. You should select short website names so that people will remember it easily. Now you require a Design/Theme for your Blog. 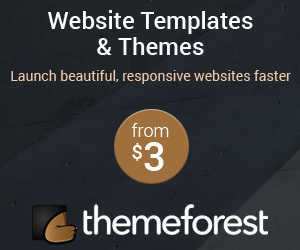 There are so many Free and paid themes available in the internet. If you find it difficult to select one theme by yourself in this We included some Handpicked Free Blogger Templates and Premium Blogger Templates. They are Search Engine Optimized (SEO) and Responsive design. That means it will change its dimensions according to the screen size of your Blog visitors. Since most of the people are browsing through the Smartphone it is really important to select a Responsive design. If You Find it Difficult to Customize Your Blogger We will help you to Customize it for Small Cost. 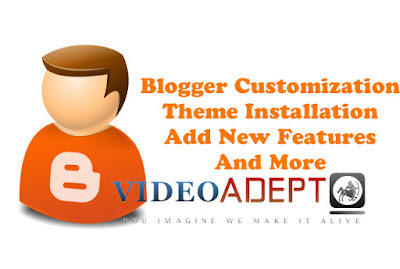 Use coupon code VideoAdpt.com After Order, We will then add some Extra feature to your Blog for Free. After Selecting a Theme if it is a Free theme you can directly download it, and if it is a Premium theme you have to purchase after you can download the design. The Blogger themes are saved in .xml format. You can find out a file with an extension .xml in your downloaded file. Now You have to upload the theme. To do so Login to your Blogger and select Template tab for your Blogger. At the upper right corner you will find Backup/Restore Button as shown in the below picture. Click on it and Upload the .xml file. Your Theme is now ready for the customization. Now you have to customize the theme for your Use like adding Home page buttons, Changing social media icons with your Profile names, Adding Gadgets etc. Some of the themes will provide instruction. If you are unable to follow instruction you can ask for help from us. We are happy to help you with the customization of course for a fair price. These are great tips. I can use a few!